All animals and insects, big and small, play a role in creating unique ecosystems across the globe. However, not all species have a role that benefits others in their environment. Invasive species, like brown marmorated stink bugs, take advantage of local resources without consequences, as they usually don’t have predators outside their native regions. And some native insects can pose serious health and property risks. Aggressive stinging insects, such as wasps and hornets are often easily mistaken for “bees.” Knowing the difference between various stinging insects can help people avoid getting stung and to understand when it’s necessary to have a nest or hive removed. 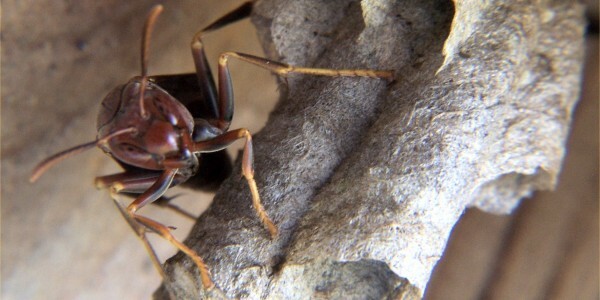 Given the risks associated with insect stings, homeowners should be cautious about trying to nests on their own. Over-the-counter insect sprays should never be used on honey bee nests, as this can affect whether or not a bee hive can be transported to a safe location.